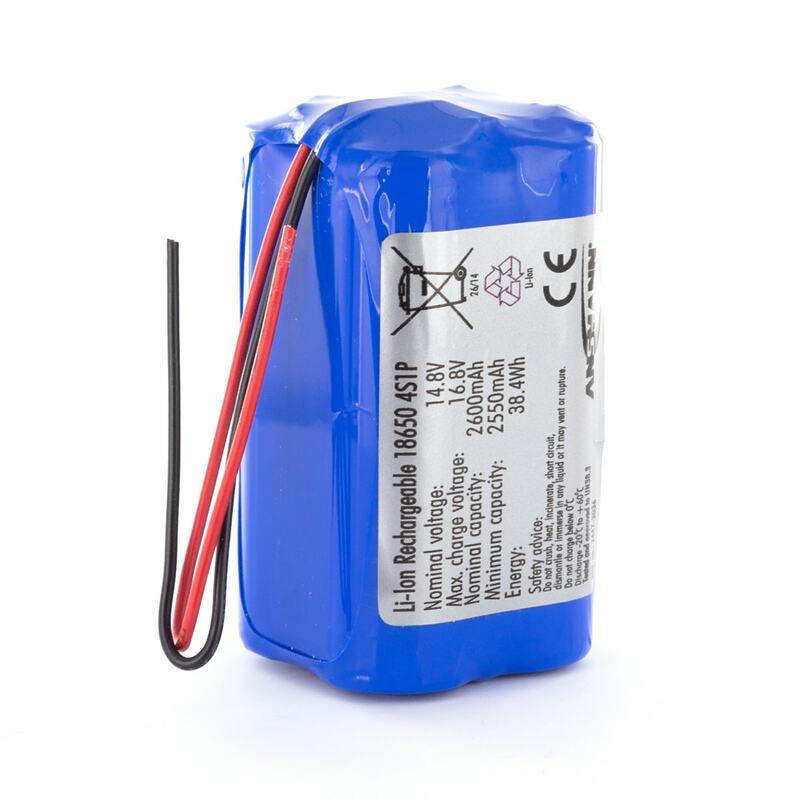 This Ansmann standard Li-ion 4S1P battery pack is based on a 18650 cell and is available quickly for easy design-in solutions. This battery pack type has 4 cells in series a connection in a block format and is suitable for most common applications. Moreover each Li-Ion standard battery pack has an integrated safety board and also a valid UN Transport certificate.